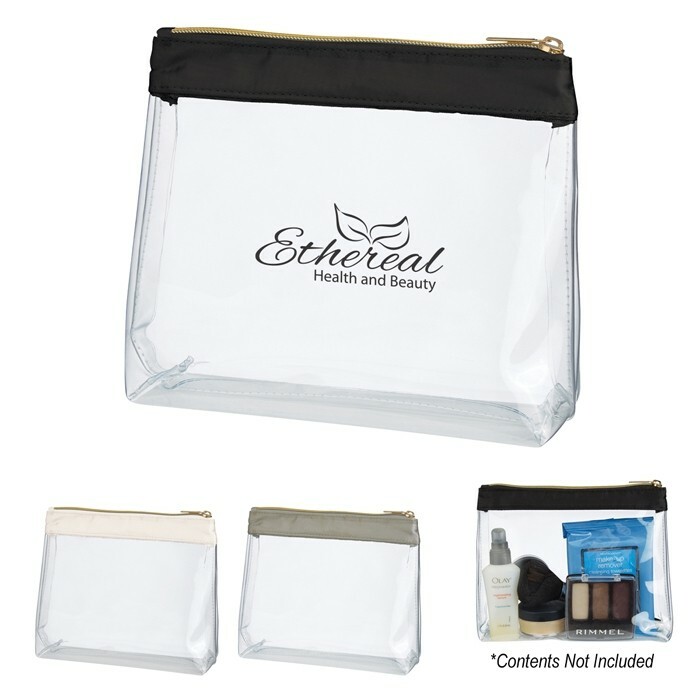 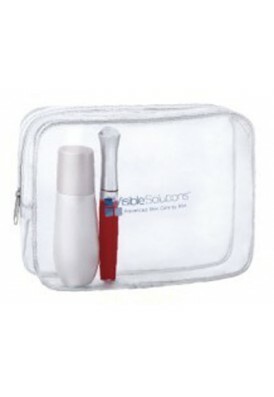 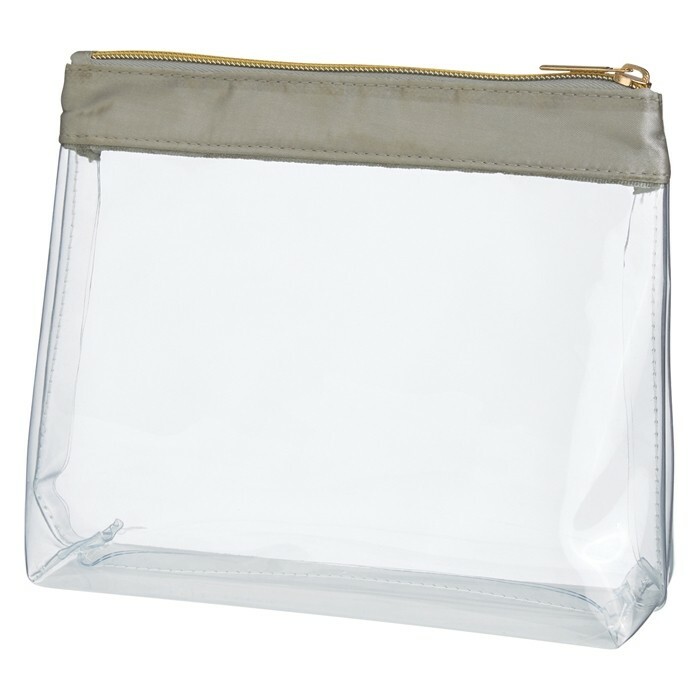 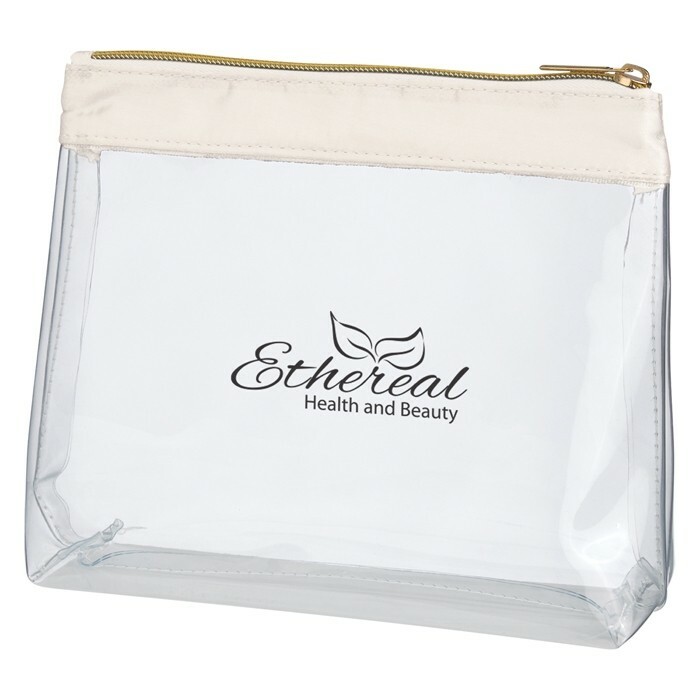 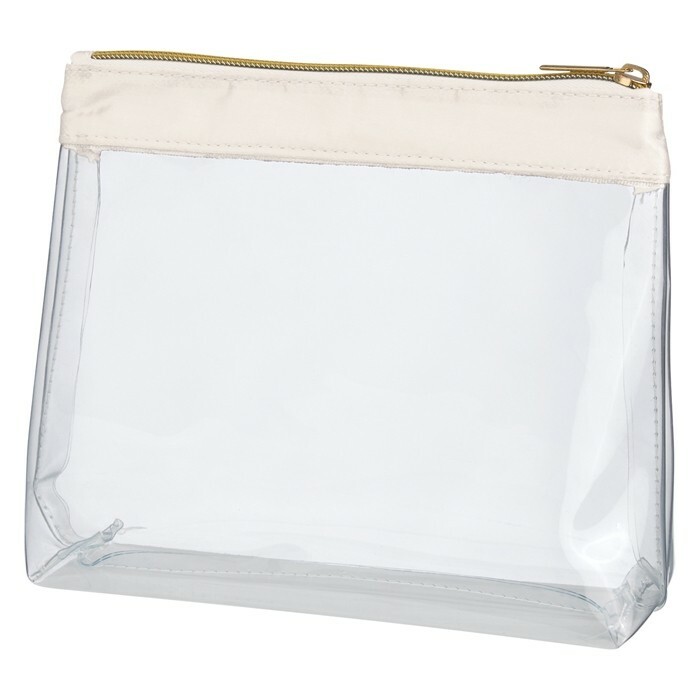 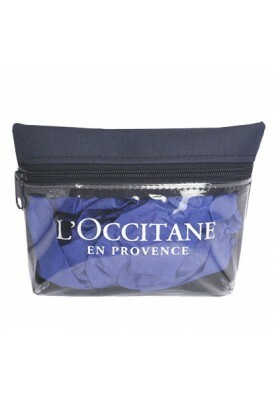 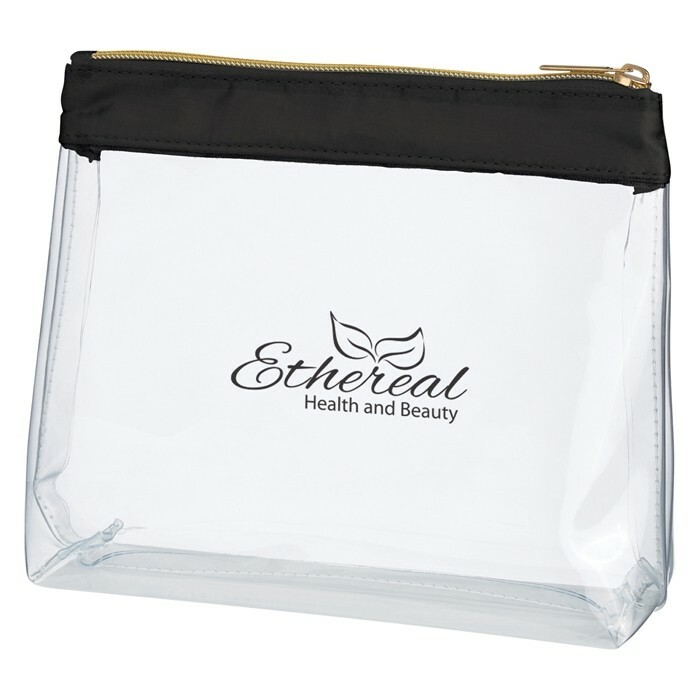 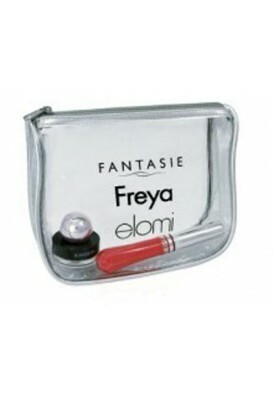 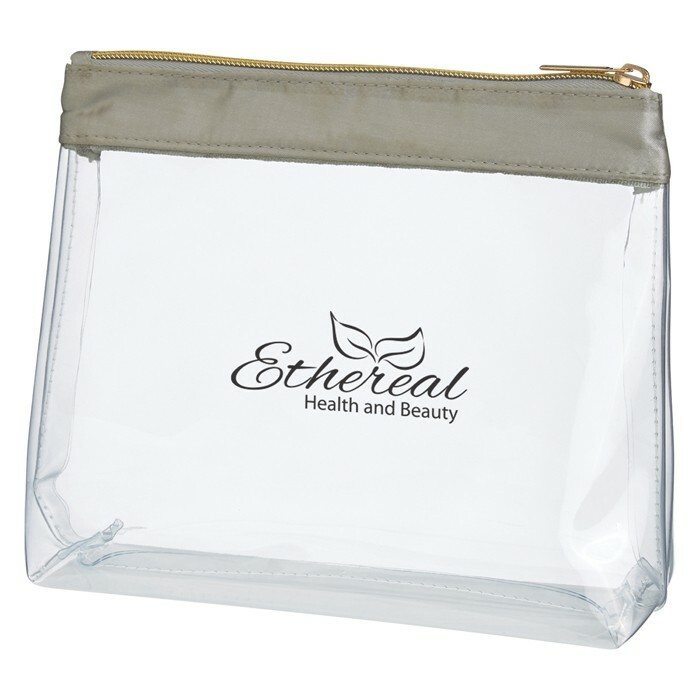 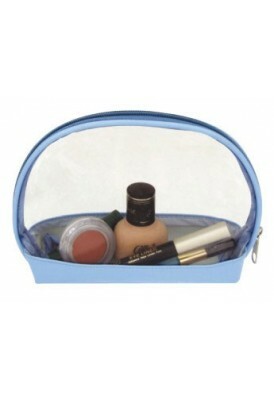 Gorgeous top zippered clear vinyl pouch features premium style with its satin top zipper trim in various colors. 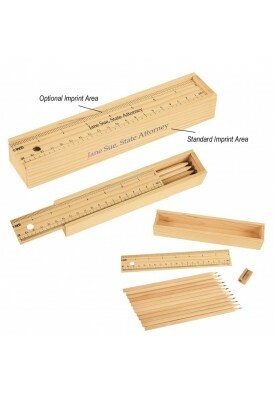 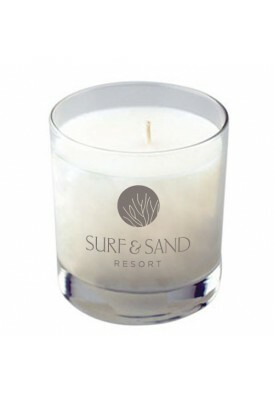 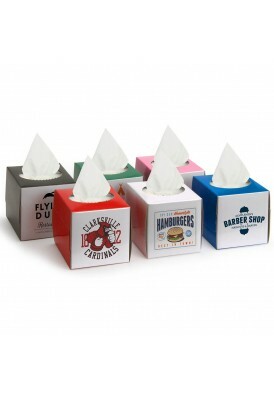 Large imprint size in high quality printing. 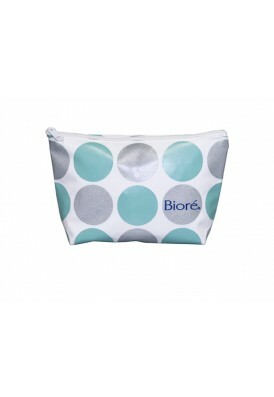 Max 1 color imprint.